He was the happiest man when they finally had you in their arms after several months of waiting. He had taught you how to endure the pain of your first wound as he was silently hurt to see you crying. He and your mom had little arguments whenever he wanted to buy you some toys. During weekends, he would be glad to put you on his shoulders while you're out for a picnic. He bought you your first bike and demonstrates how to ride on it. He told you to be brave enough but never have your feet off the ground. He would always tell you to be thankful for everything you have and don't forget to share. He's always there to protect you and works all day to be able to provide you with all your needs. A man of strength and dignity striving to give the best for his family. The authority in the house. The one expected rule the family and be the better example to his children. for his children is to love their mother." "A father is indeed more than a thousand of school masters. He is the idol of each child. Happy Father's Day!" 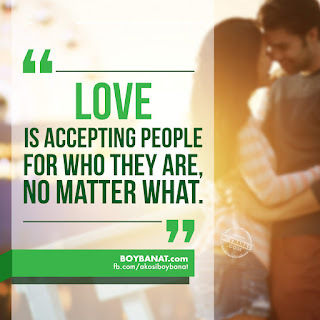 His family is the father's invaluable source of strength, joy and comfort. He's happy to see his children growing into human being that they are supposed to be. 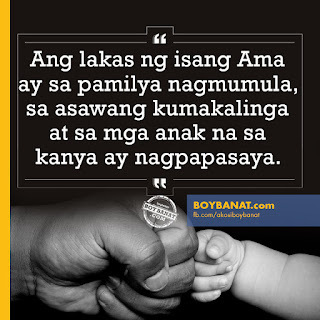 A father is steadfast in his duty to provide his family all their needs and nurtures them with the love they deserve. He plays a very important role in our home and that's being the foundation of it. As he finds his strength and joy from his family, he becomes the fountain of confidence and stability to his wife and children. 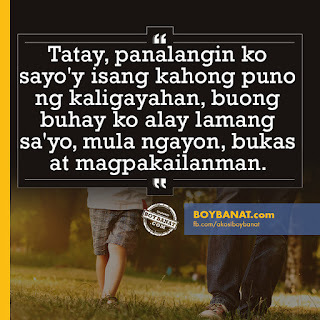 a father is much more than that whish truly cannot be explained in words." and tells you everythings gonna be ok"
A Father is a fellow who has replaced the currency in his wallet with the snapshots of his kids. Happy Father's Day! Our fathers are the primary provider of our family. He works hard everyday to ensure that his family will get what their needs like food and shelter. He knows his responsibilities and sacrifices his own pleasures to secure that the children will have a brighter future. 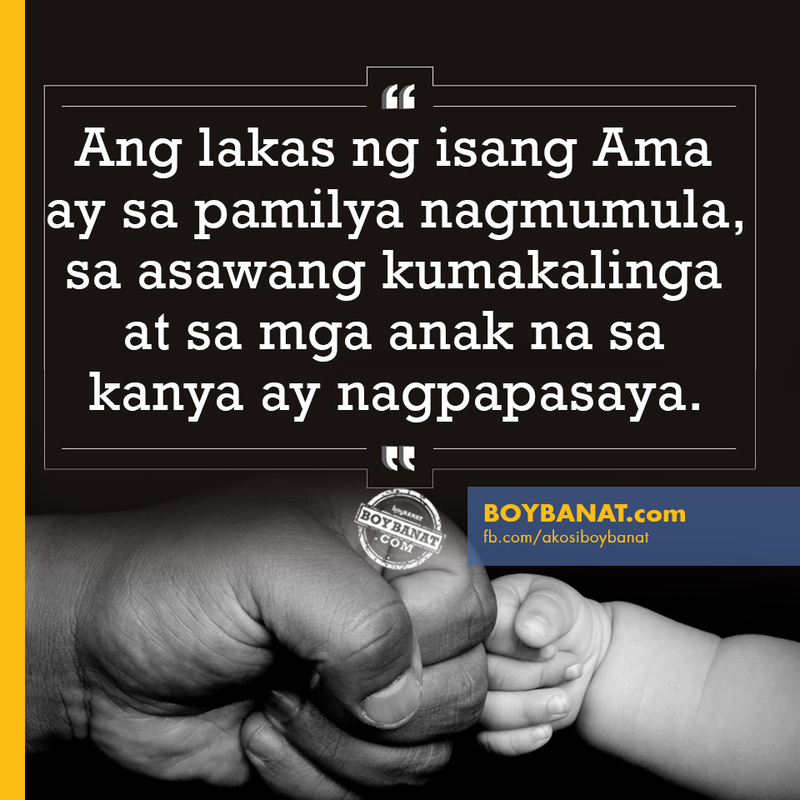 But our fathers also deserve to be recognized for their effort to uphold his family and providing their necessities to the best of his ability. Don't forget to pray for your dad to bless him with more strength and capability to perform his duties. A Father is someone who always makes his baby into a little woman, Happy Father’s Day Dad! Don't wait for Father's Day to greet your dad. Let us all spend a great time for the person who worked all day and shed sweat and tears to keep his family stable. Simple token of appreciation may do as long as it is from the heart. 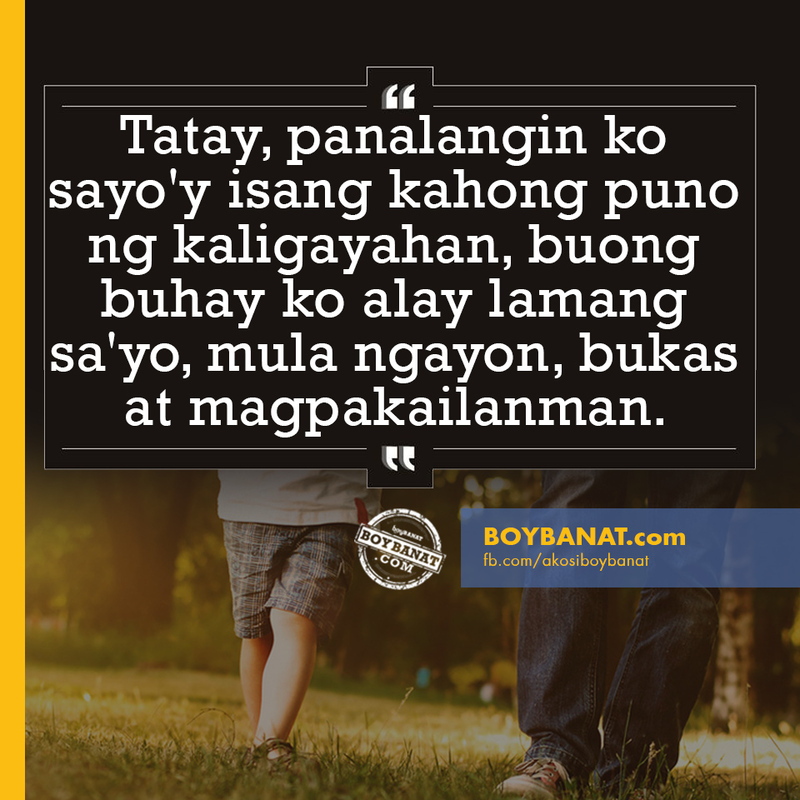 Share your own Tagalog Fathers' Day Quotes and Sayings here at www.boybanat.com you can also share with us the messages you have for him and inspire more readers on how they will convey the right words for their fathers.